Billionaire Anil Ambani Monday thanked his brother Mukesh and his wife Nita for extending "timely support" after his debt-laden firm Reliance Communication cleared payments due to a service provider just a day before the expiry of the deadline set by the Supreme Court. "My sincere and heartfelt thanks to my respected elder brother, Mukesh and Nita, for standing by me during these trying times, and demonstrating the importance of staying true to our strong family values by extending this timely support. I and my family are grateful we have moved beyond the past, and are deeply touched with this gesture," he said in a brief statement issued through the company spokesperson. However, the company did not give details about the source of funds. The split did not end the feud and the two bickered over the commitment of Mukesh' Reliance Industries for supply of gas to Anil's power plants. In 2008, Anil's RCom wanted to merge with South Africa's MTN but the move was thwarted by Mukesh citing his holding right of first refusal. 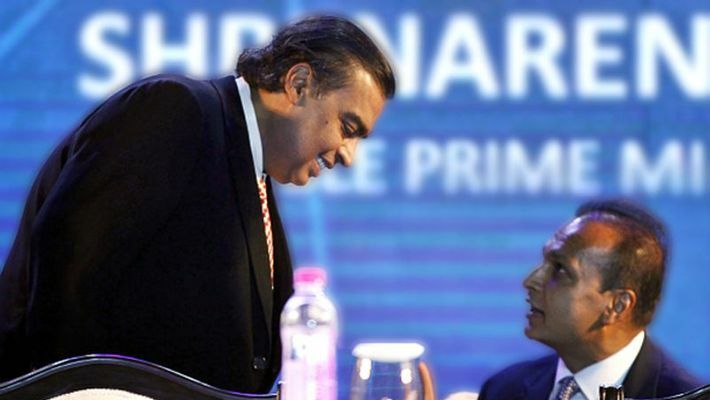 Last month, the Supreme Court held Ambani in contempt for not paying Ericsson's dues despite promising to do so. The court had warned to send Anil as well as Chhaya Virani and Satish Seth - chairmen of two RCom units -- to jail if they fail to pay the dues in four weeks. The deadline expires Tuesday. RCom scrip closed at Rs 4 a share on the BSE Monday, 9.30% lower than the previous close.